The Top Down/Bottom Up lift control system (also called duofold) is ideal for rooms where privacy is a necessity, but also where natural light and privacy is desired. 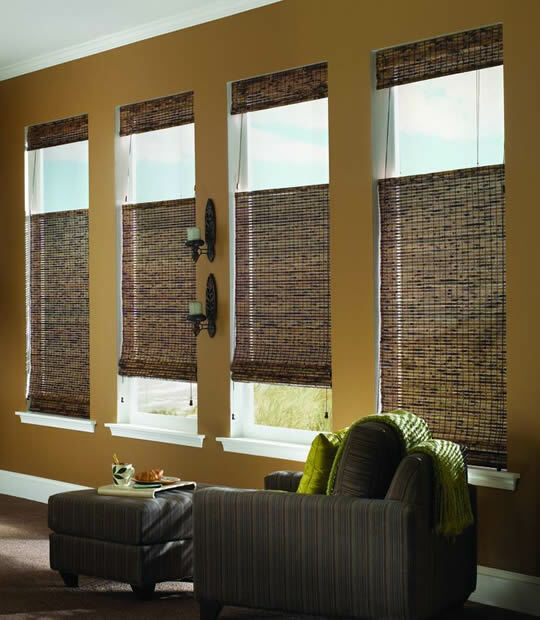 Window shades with this option have cords on each side; one cord allows the shade to be raised from the bottom up and the other cord allows the shade to be lowered from the top. 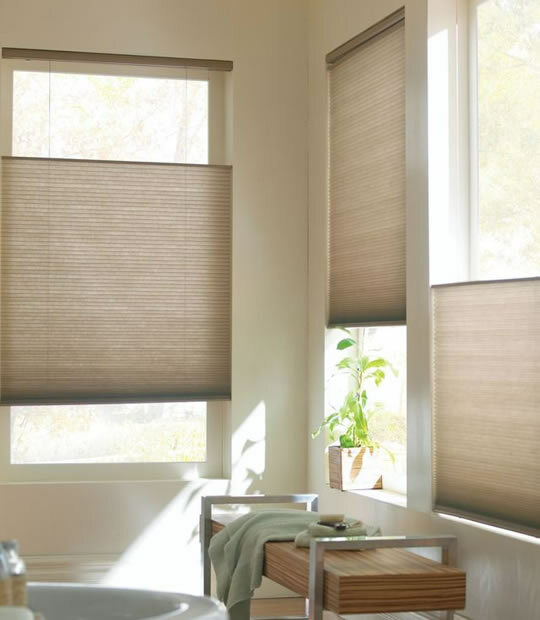 These shades are also available in a cordless option, something that is important where child safety blinds & shades are required. 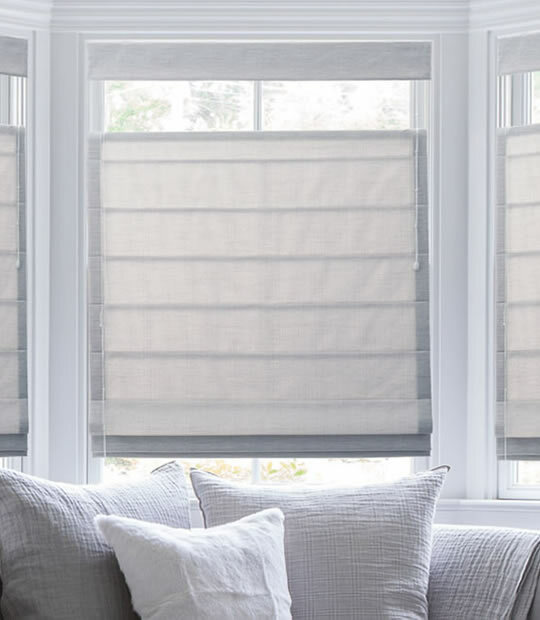 This popular lift option allows for that versatility when adjusting window blinds (including honeycomb cellular shades, pleated shades, bamboo or woven wood shades and roman shades) to control privacy and lighting levels. In a "nutshell", top down/bottom up lift control systems offer the best of both worlds insofar as simultaneous light and privacy control are concerned. Natural Woven Bamboo Shades are made by hand in our workrooms from soft woods such as grass, bamboo, reeds, and rattan etc.